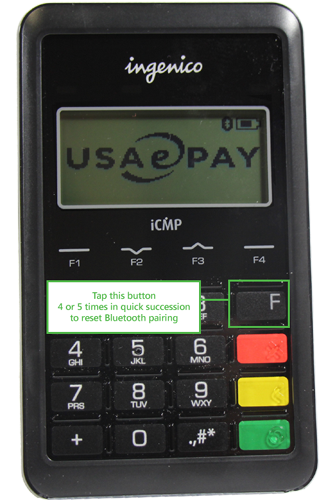 If you are using USA ePay with your 3dcart POS app, you can also use USA ePay's iCMP Card reader to process credit card purchases. 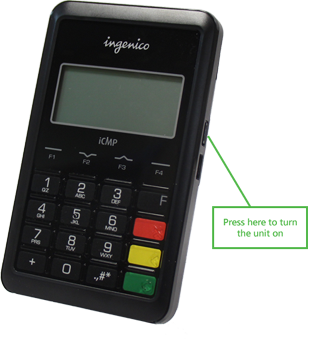 The reader is able to swipe cards as well as use the new card chip technology. The iCMP reader will wirelessly connect to your iPad via Bluetooth connection. 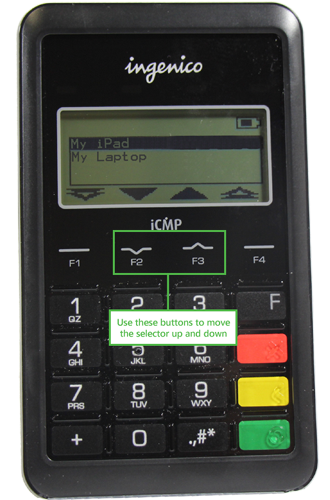 However, before you attempt to connect it to your iPad, be sure to charge the card reader's battery for 3 to 6 hours. 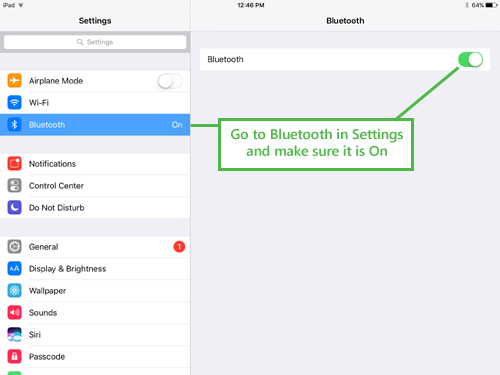 Go to your iPad's settings menu and tab Bluetooth. Once there, ensure that the Bluetooth connection on the iPad is turned on. 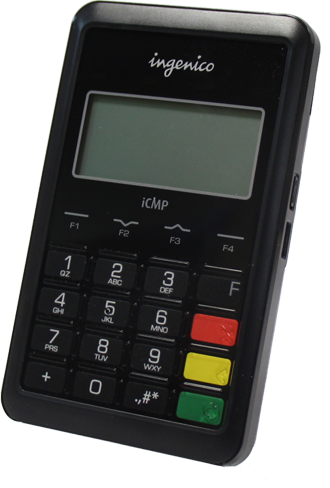 The display will show you all of your nearby Bluetooth Enabled Devices. 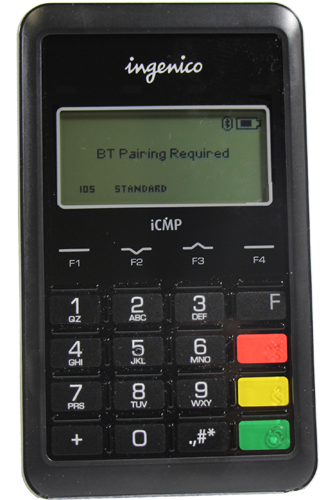 The iCMP reader will provide you with a PIN for the pairing. 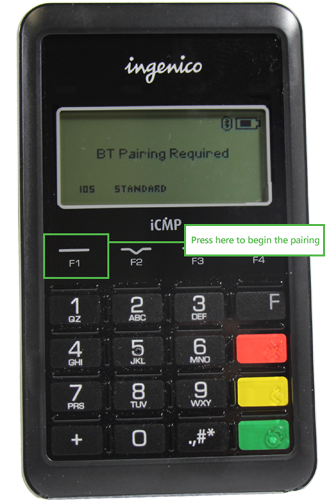 By this time, your iPad will have discovered the pairing request and provided you with the following screen. 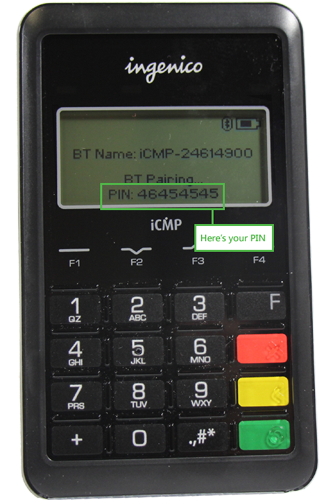 Enter the PIN from the reader into the iPad PIN field and tap Done to complete the pairing. Your iCMP reader will display the USA ePay logo and will be ready for use on your 3dcart POS app. Then tap the "Forget This Device" option and confirm your selection. 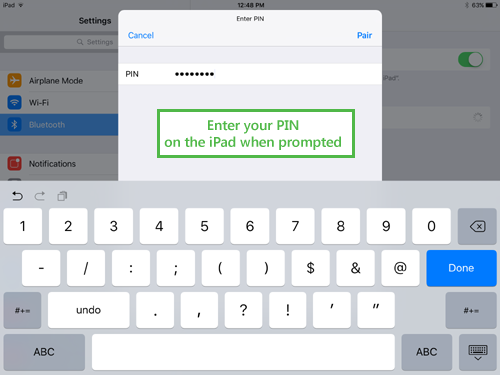 You may now repeat the steps at the beginning of this article to pair the reader to another iPad device as needed.